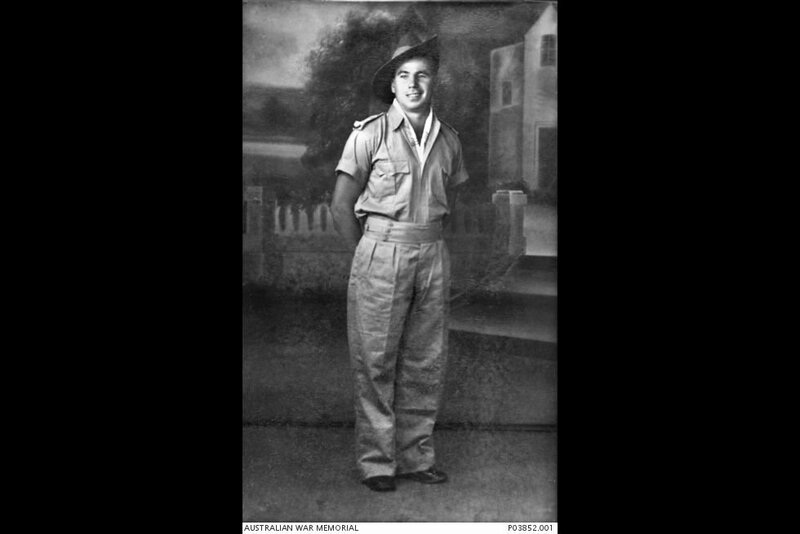 Studio portrait of Private Richard Murray, who was transferred as a POW from Singapore to Sandakan POW Camp in north Borneo. He and Private Keith Botterill stole rice from the Japanese to build up food stocks for escape, and when the theft was discovered he took responsibility to save his friend, and was killed for it. Image taken 1941, courtesy of Australian War Memorial. The accused was charged with committing a war crime in that he commanded the firing squad which executed 152 civilians in Tamugli Island on the Andaman Islands, including women and children. 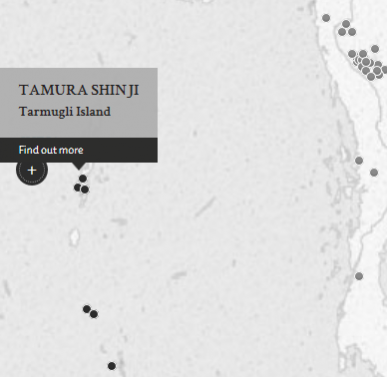 After the Japanese occupation, the accused and two other officers went to Tamugli Island and dug up and burned the bodies in order to destroy all evidence of the crime. The accused admitted that the executions happened but he claimed that the victims were 'bad characters' who had stolen army goods, and that he believed at the time that their executions were necessary to maintain peace and order. He further claimed in his defence that he was compelled to carry out the orders of his superior officers. The accused accepted full responsibility for the execution. He pleaded that the Naval Officers under him should not be punished for the incident as they had only assisted in rounding up people and took no further part in the incident. Tamura, Shinji. Captain. From Japanese military. From Japan. Guilty. 2 years' imprisonment. Sentence confirmed. Harrison, W.M. Captain. From British military. Peter, Claude Gilbert. Lieutenant. From British military. Barrister at law. Konno. Senior Officer, Supreme Court Judge, Tokyo. Komori. Lieutenant Commander. From Japanese military. From Japan. Moss, G.W. Major. From British Indian Army.